I went through training with Shelton- he was by far the most kindhearted person i have ever met. we went through almost 6 month of what some people would call “Hell” not one day went by when there wasn’t a huge smile on his face! he would come up to me every morning and say how its such an amazing day and we are a whole day closer to seeing our families! he is the type of person that would love a total stranger and be able to brighten anyone’s day simply by talking! he will be forever missed and never forgotten!! Sarah, thank you for taking the time to tell us that. It’s important that we know our soldiers as people as much or more as we know them for their job. Peace to you and those who knew Jason. Thank you so much for sharing what Jason’s immediate family experienced last evening. We are spread out all over the area east of the Mississippi, but our hearts are broken together. Thank you so much for this very touching story. Your kids and wife are very lucky to have you in their lives to show them how to be a kind and caring person. Blessings to you. As Jason’s sister, I want to express a heartfelt thank you for sharing with us (his family, and friends) a glimpse into what Jason’s flight home entailed! I had pictured in my head numerous times about what it would be like for us to see his casket brought off the plane, and not see his smiling face to greet us. Nothing I imagined in my head prepared me for what I actually felt when your flight (Jason’s flight) landed and we got to witness the transfer of his casket to the hearse by the Honor Guard! My heart was breaking inside, but at the same time I felt so proud of him and what he stood for and had accomplished in his short life! The honor that he was shown by everyone there was amazing! We saw you all standing in the windows of the plane and inside the airport and were so glad that so many people got to honor Jason on his flight home! Our motorcade back home to Madison County was filled with people honoring Jason! Every overpass and on ramp had EMS, firefighters, and police officers stationed there saluting Jason as he made his way home! Some even had huge American flags draped over them! I can’t imagine this world without my baby brother, who was always smiling and always so full of life! I can’t begin to tell you the heartbreak our family feels! I do know people like you and everyone else that has shown their support and honored Jason throughout this journey has helped tremendously! Carla, please accept my heartfelt condolences on your brother’s passing. I will gladly and with a tear in my eye, honor your brother this Veterans Day. Words cannot express how sorry I am. I normally wouldn’t say this to an Army man, but Semper Fi Jason. Thank you so much for sharing your story with us. My prayers are with Carla and the rest of the family . Thank you Jason for your ultimate sacrifice for your country and us as Americans. You are a true hero . I also went through training with Shelton. He was a great guy and it saddens me to hear about his death. Such a kind hearted boy. This article was heart touching. I hope everyone takes the time to read this. Not only for Shelton, but because the words for our fallen is true. Thank You for sharing this. Our prayers are with his family. Carla I am so sorry for your loss. Carla, I can’t tell you what it means to me to know you saw this. It means so much to know it helped i ever so little. You are a brave woman just as your brother was a brave man. Thanks and peace to you, Jason, and your entire family. Rest in peace, young soldier. Your tour of duty is done. Well done. And to your surviving family, what an honor this was to be able to share in Jason’s last journey, even if only on FB. If you get the interest, watch the movie Taking Chance. Hard to keep a dry eye during it. Thank you for sharing your story. I am from Madison County and know this family. Many times his mom Audrey and I exchanged stories of her son and my daughter’s fiancé in the military. Mike my soon to be son was in the war zone of Afganistan and Jason was in the Midwest at boot camp. I never thought either one of us would face having the pain of losing a loved one. I have cried many tears since I heard the news . My heart goes out to Audrey and the family. May God be with you and give you peace. Wonderful testament, heartfelt. yes the movie Taking Chance is a tear jerker but very close to reality. Thank you for sharing. May God bless you for honoring this young man. I was the Teacher Assistant in Jason’s class when he was in 3rd grade & fell in love with that little mischevious blond haired 8 year old boy. I was so proud of him when he decided to join the service! My heart breaks for his family & for the life that was taken away. I am so thankful to have been able to share a small part of his life & am so proud of the young man he grew up to be. This is an amazing written tribute to a life lost too soon. I did not know Jason, but knew a soldier who served with him. Thank you to Jason Shelton, his wife Heather, and his family for making the ultimate sacrifice. And thank you to the author for shedding some light on the fallen. We lined every bridge in NC with police fire and ems for his journey home while most were asleep last night. He came through Asheville ad around 1120 pm prayers for the family!! Living in Madison County knowing the family and what they are going through.I would say that this means so much to them.So I would like to say Thank You for sharing this. Thoughts and Prayers to the family. I work with Jason’s mother and younger brother, and I know that the entire family is heartbroken– Every other time I saw his mom she was putting together a care package to send to him, full of his favorite stuff that he couldn’t get in Germany. Although I never met him, I know he touched a lot of lives in our community. This is a beautiful piece of writing honoring a short but meaningful life. Thanks Brad for sharing this powerful story and thanks to Jason’s family and friends whose comments add to its impact. I’ll be sharing it every way I can. So sorry for your loss,thinking and PRAYING for your family.Remember Jason YOUR,BABY brother,so full of life.May God hold you all through this.Love you. Thanks for posting this Brad. Heartbreaking indeed. God bless Jason, his family and this great country he died protecting. We became a Gold Star family on July 22, 2012, when our 23 year old son, Sgt. 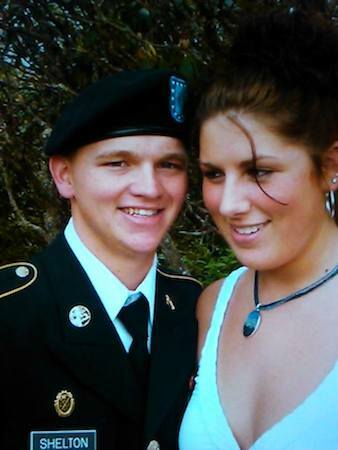 S. Matthew Baynard, passed away from complications of injuries he sustained during deployment. We share your pain and you are in our prayers. I know these are tough days but take pictures, write things down, pay attention to every detail because in the months and years to come, you’ll be glad you did. We thank your family for your sacrifice, for giving up your soldier for the greater good. much love to you. My prayer for the family members of this Great American Soldier. I’m in the services for 14 years now. Its hard to see how every change is the last decade. I pray a lot for my Soldiers and their families, but its hard having a lost of one of us no matter the time in services or rank. But I want to rise my voice because these young men and women that joint in the services now facing challenges with the leadership. Something happened with one of our Soldiers and then after they paid with their live to defend this country, at then like someone mentioned before, no one remember them. I don’t want this become normal, its been more that 5 years when I lost a Soldier and I’m still in contact with his family. To the Army We are Human, fathers, mothers, sons and daughters, WE ARE GREAT PEOPLE THAT WANTS TO SERVE THIS COUNTRY, we are not a number to fill the battle….. Thank you for posting this. My heart breaks each time I learn of another military member not coming home alive. I hope we never forget the sacrifices that are made for our freedom. God bless you Shelton family. My prayer is that God will comfort and hold you close. God Bless America and those serving this great land. I am Jason’s little brother and I was there last night and I never expected someone to.write something like this. I am just speachless when I was reading this I can picture the airpane. I didnt know jason but as the wife of a Marine I know the fear that comes with being married to the military. My heart brakes for his wife and family as they struggle to understand and find peace during this time and in the years to come. I pray that you find peace and comfort in the Lord and in the community as well as within yourselves. I am so sorry to Heather and to all of the families who have lost their soldiers. I know his mother and brother and if Jason was anything like them he was an amazing person. I am so saddened that this has to happen to families. My thoughts and prayers are with ALL soldiers, families and loved ones. Thank you. I am so sorry for your loss. I am from Madison County and I know how it is to have a loved one in the military and the worry you go through. My husband served in the Army. But I just wanted to say “Thank You” for Jason’s service and to you his family. May God bless you and you will be in my thoughts and prayers. Thank you for writing this and caring so much. My husband and I went to say goodbye to Shelton yesterday. It was the hardest drive to North Carolina from Nashville. We will be in DC this weekend to see my dad who is AD. I only got to meet Shelton once at graduation but he was amazing to my husband at basic. He was the first person that my husband met at basic. They were bunk buddies and great friends. I know the bond you make with your fellow soldiers. Its something that will forever be there. Thank you for sharing your thoughts and prayers. I pray everyday for his wife. I did not know Shelton or the family he left behind, but would like to sincerely express my appreciation for his service and the sacrifices he made so that I can enjoy the freedoms in this country we take for granted everyday. Thank you Shelton! I read the story and it gave be goosebumps and brought tears to my eyes. Thank u Jason for serving our country, may u rest in peace and god bless u and your wife and family. We Should Do MORE!!!!!!!!!!!! Carson, when it comes down to it my name doesn’t matter. This piece was about your son, a man I didn’t know about two days ago, but one I feel like we’ve all gotten a better chance to know through the outpouring of love and support I’ve seen here and around the internet. You are a brave father, and I wish you peace in the coming days. Thank you for having the bravery and will to stand up and face this tragedy with such courage. My heart is with you. Carla it is hard to lose a brother, I would know I lost my brother in 2006 he was in the army. You have a strong heart and remember to smile a big smile in your brothers name. I am so sorry for your loss! Brad thank you for sharing this story tho i never got the chance carla got it feels good to know that someone is willing to post this. “All gave some, Some gave all” R.I.P Jason you will never be forgotten. As a combat veteran of another war a long time ago, thank you so much for honoring a fallen warrior and husband. My heart goes out to his widow, I helped place five of the best men (my brothers )in their last travel home containers and know that it can tear your heart out to say goodbye. Thank God that Americans now hold the fallen in honor when they pay the ultimate call to duty.My condolences and most heartfelt sympathies go out to his widow,Heather, and his family. as to Jason–Sleep well Brother you gave your all for us left behind , I salute you and will remember your name with the others who gave all in my prayers. SGT R. L. Waters Viet vet. Alluding to what the author said about the ban on pictures of caskets returning home, during the Vietnam War I was flying home “space A”, in other words catching a free ride. After being lucky enough to get a seat on the aircraft, an Air Force C-141, we were asked by the loadmaster informed us that there was going to be “HR’s” (human remains) on the plane with us. He said that any of us who were too uncomfortable with that were welcome to wait for another chance at catching a flight. We all still flew, but at no point did we ever see the caskets. What is described above is infinitely better treatment of those who gave all. Thank you for your perspective & taking the time to write about what you saw & how you felt. I wondered about the folks in the plane as I stood on the runway watching my son make that trip out of the cargo hold & down the ramp to the awaiting cart just a few weeks ago. I guess I found it odd that it was just a normal flight for the people inside & anything but normal for myself & family waiting on the outside. Surreal I think. Thank you again for your perspective. Jason Shelton, may you rest in peace. Nathaniel, be strong for your bro. To the many of you who have commented here, in emails, on Facebook, on Twitter, and in private messages, I want you to know that everything you write is being read, not just by me but by the many others who were touched by Jason’s story and the ones you’re telling here. I, like many of my friends, am in awe of the kind of strength and resolve we’re seeing. Thank you for being brave enough to share your stories. Thank you Mr. Willis for writing your thoughts and impressions in such a moving and poignant fashion. Living in western North Carolina, I was well aware that this hero would be coming home last night. To everyone that honored him either in his official reception or as unofficial escorts on the plane, I thank you for recognizing this hero and responding in part for those of us who could not attend. And to his broken hearted family, I will never have words to adequately describe for you my sorrow for your loss and my gratitude for the sacrifice your entire family has made. Thank you for raising the kind of man that is willing to serve his country. This is a selfless act. Thank you for going through every emotion you must have felt when he made this decision. Thank you for everything large or small that you have done for your son. He never served alone as it is clear his family loved him dearly and I am quite sure he knew this. The words “thank you” to you and your son feel so inept. But it describes a much deeper and heartfelt gratitude that there are no words for. Your son’s life and legacy is now forever ingrained in my heart. I pray that God will comfort you and give your heart peace and rest. And I also pray that one day soon, the things only you know about him that cause your heart to break right now will soon bring you comfort. I pray that one day much sooner than later a smile will return to your face. Please know it is my honor to know of you and your son. Thank you again.. from the depths of my heart. I read and cried the whole time, and also read the comments shared by others. I have known many who served and several who did not return home to families. My husband served during Viet Nam and he came home. So many others did not and many that he knew and served with. We should always remember each and every life lost to war. Wars fought to assure our freedom and all we take for granted. May God bring comfort to all of Jason’s family and friends and to all the other families out there going through the same thing. Thanks to all who serve and God Bless each of you. Carla and family, words cannot not begin to express our sympathy for you loss. They also cannot express our gratitude to Jason for his service to our country. May the Lord give you comfort and hold you as tightly in His arms as he now holds Jason. God bless you all.